Colts Alumni Night: Aaron Ekblad. (@EK5Colts) @OHLBarrieColts @FLAPanthers #NHL #OHL - Very Barrie Colts | A website covering the Barrie Colts of the OHL. 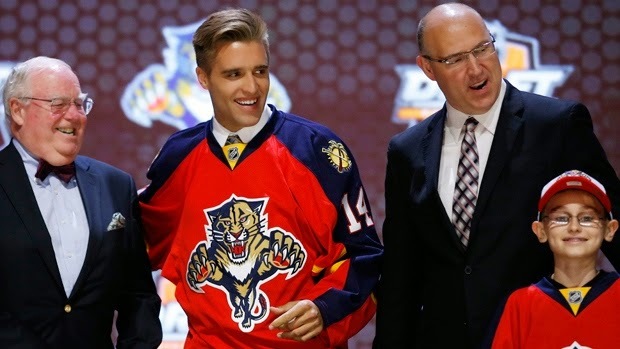 It feels just like yesterday we wrote our piece on why Aaron Ekblad should be drafted 1st overall in the 2014 NHL Draft. Funny, it was actually 4 months ago. With this being the 20th Anniversary of the Colts, the are celebrating by bringing back former players and coaches to honour the team and players. 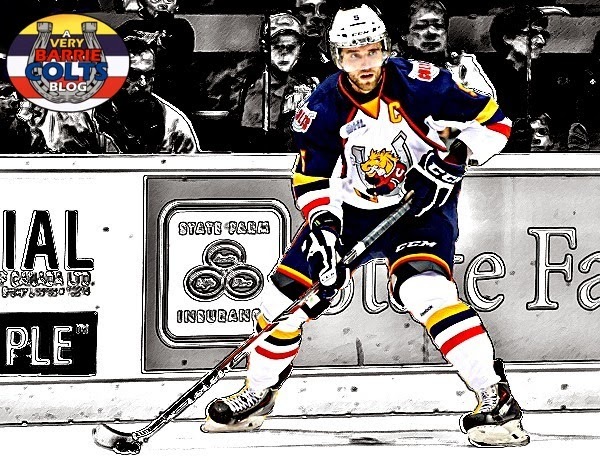 On Saturday, October the 18th Aaron Ekblad is scheduled to be in attendance at the Barrie Colts game as they host the Windsor Spitfires. 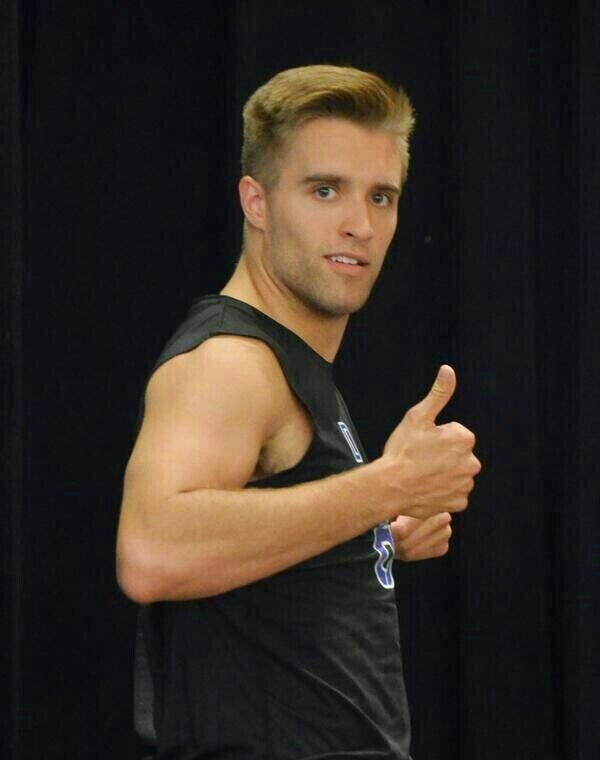 What can be said about Aaron Ekblad. His OHL achievements are more than impressive. It might be quicker to list what he hasn't done. He has never taken off his skate and tried to stab someone with it... That is about it. In 2011 he won the Jack Ferguson Award which is awarded to the OHL's Priority Selection Draft Top Pick of that year. Eric Lindros, John Tavares, Steven Stamkos and Connor McDavid are a few other names you recognize who have also won this award. In the 2011-12 OHL Season he won the Emms Family Award which is awarded to the OHL Rookie of the Year. Other winners of this award that you may have heard of are Wayne Gretzky, Mike Gartner, Rick Nash, Bryan Little (With the Colts), Patrik Kane and Connor McDavid. In 2013 he helped Team Canada win their 18th Gold medal at the U-18 World Junior Tournament. In his 5 games played he contributed 2 goals and 2 assists. In 2013-14 he won the Max Kaminsky Trophy which is awarded to the OHL's Top Defenceman. Drew Doughty, Marc Staal and Chris Pronger are also past winners of this award. Also in 2014 (if you haven't heard) he was drafted first Overall by the Florida Panthers. 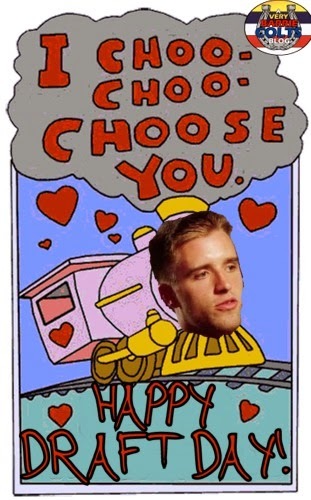 "The Florida Panthers are pleased to announce that we Choo-Choo-Choose Aaron Ekblad of the Barrie Colts!" Aaron played with the Barrie Colts for 3 seasons spanning from 2011 to 2014. In that time, he played in 175 regular season games where he would put up 40 Goals, 76 Assists and 116 points. Did we mention him spending 189 minutes in the penalty box? Ekblad also had some success in the Playoffs. Though, he would never capture an OHL Championship, he appeared in the Playoffs in all 3 seasons and in 2012-13 he helped the team reach the finals but they were unable to win. In those three years, he appeared in 44 Playoff games scoring 11 goals and getting a total of 28 points. Ekblad was also named the Captain in his final season with the team. 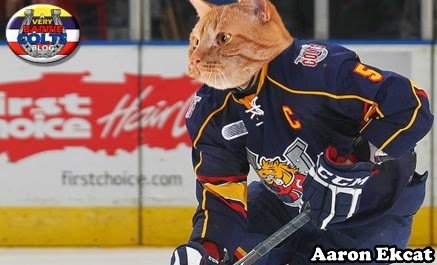 Ekblad as a Cat... we do that.. DON'T JUDGE! He was a great leader, the players and staff loved him and he constantly would work to improve his game. Life after Ekblad has been an adjustment so far, but this is what happens in the OHL. Seeing Ekblad start his NHL career has been exciting for Florida fans, and his old OHL fans up here in Barrie. Wonder if Ekblad will miss the snow here in Barrie? Ekblad had this to say about coming back to his former team and fans in Barrie! Thanks for your time, Mr. Ekblad.